Rose McGowan (born 5 September 1973 in Florence, Italy), is an American actress. She starred in the TV show Charmed and the movies, Scream and Grindhouse. 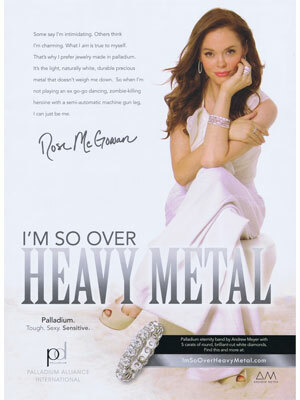 Rose McGowan signed as the model for Palladium jewelry in 2011.